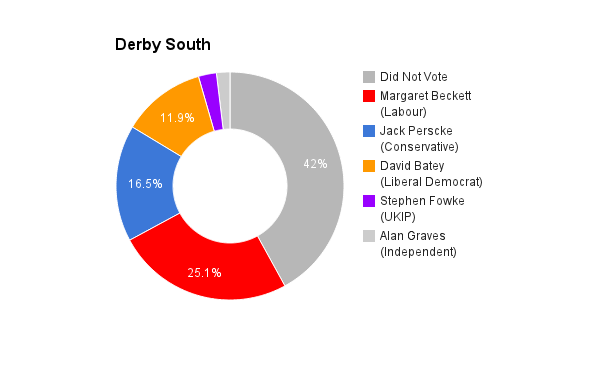 Derby South is located in Derbyshire towards the centre of England. The seat was created in 1950 and has been held by Labour ever since. The current member of parliament is the Labour Party’s Margaret Beckett who has served since 1983. My name is Chris Fernandez. I am 57 years old and married. 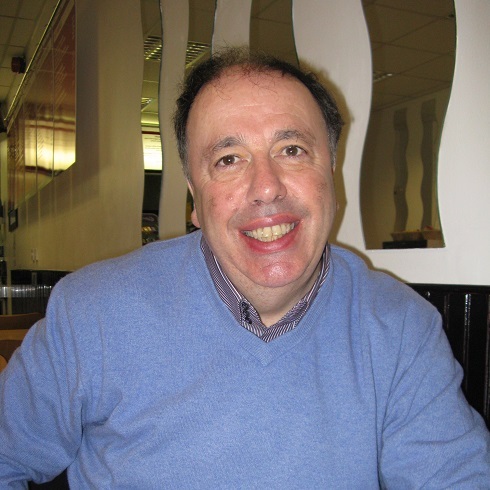 I work as a Support worker in the health sector with people with learning disabilities and challenging behaviours. I am a UNISON trade union workplace representative and in 2013 led a strike against wage cuts and restructuring. I come from a working class background and have worked on the shop floor in the rail and textile industry and in other jobs. In my thirties I went to University and graduated with a BSc (hons) in Psychology. I have knowledge of Spanish and Polish. I am a UNISON delegate on Derby Trades Council. I have been asked to put down what I believe qualifies me to become MP. I can only think of one word and that is anger. Anger in what is happening to people up and down the country due to the cuts and nobody is fighting them! I have experience in campaigning against cuts. Recently when the Con-Dems pushed thru £30 billion worth of cuts for next government only 5 Labour MPs voted against! All the parties and their councillors up and down the country are voting for cuts. TUSC won’t and that is the reason I am standing as a TUSC candidate. I will hold regular meetings with the people I would represent from surgeries to public meetings. I would also produce a regular newsletter. I know most of Derby South area and have campaigned on issues in Derby South wards for example I have opposed and campaigned against the building of an waste Incinerator in Sinfin ward and have also campaigned against the closing of the Moorways swimming pool in Allenton ward , which the council are now keeping open for another year. The sitting MP has said nothing on these issues as have any of the other candidates. I will refuse if elected to take the bloated MP’s salary of £67,000, instead I will take the average wage of a worker in Derby South £24,000 and donate the surplus into a solidarity fund to support workers in struggle. I also believe I won’t become divorced from representing ordinary people if am on a workers wage. Nothing that I know of. If I was in Parliament I would highlighted that been a MP is a full time job and no MP should have another paid job at the same time. I would have pushed for a bill that would make it a job condition if you like that they can be no outside paid interests once you are an MP, that you are there to represent the people who voted you in. No it is not; In fact the rich have got richer. Since the Con-Dem’s came to power , the average household has become over £1000 a year worse off. Meanwhile , the richest 1000 people have increased their wealth by £311 billion. No, it does not need limitations and it can help the economy. A recent front page article in the Guardian 20/3/15 said according to various reports that 298,000 migrants are now fuelling UK growth. Many people are very concerned. I would say well over 80% or more. I support the TUSC demand of a £10ph min wage which is now TUC policy. Over 80% of the population are on less than £20,000 a year. Paying the mass of people such a wage would mean they would have more to spend which may fuel economic growth. We are the 7th richest nation on the planet the money is there. A recent study has shown that people’s wages have not risen for many years, yet the energy companies’ bills have, as have their profits! I would bring those private energy companies under public ownership as well as the Railways and Post Office. The public subsidised the Railways to the tune of £4.5 billion a year. These rail companies make huge profits and hike up fares. The NHS should not be market orientated. There is no place for private companies in the NHS. It should be nationalised but with real public ownership under democratic workers control and management by people who work in the NHS ie Doctors, nurses etc. Public spending should be increased for a massive programme of public works ie the building of houses, roads etc this would create employment. More apprenticeships should be created. However, all of this would have to be linked to taking over what is known as the commanding heights of the economy under public ownership ie the major monopolies and banks under democratic workers control and management. You could then draw up a democratic socialist plan of production for the needs of society and not private greed of the big monopolies which dictate to governments. Yes there is a lack of diversity. There are not enough women, people from ethnic minorities and working class people in parliament so those people are not represented. We need more of those people in parliament. It is dominated by white middle class privately educated men that are out of touch with the day to day struggles that ordinary people are going thru. I would campaign for a no vote, not to stay in the EU. However, not for any nationalistic reasons, but because the EU is a big business club imposing austerity on many countries for example Greece, Spain, Ireland etc. I have more in common with workers under attack in those countries than I have with the ECB and others like the IMF imposing austerity attacks on ordinary people in countries whose governments act as semi conductors for the cuts. In or out of Europe on a Capitalist basis would not solve Britain’s economic problems. Only if Britain would be a part of a voluntary Socialist Federation of Europe could they be solved. For that to happen the commanding heights of those countries’ economies would have to be publicly owned democratically by the people in those countries. In Britain all the major parties are for cuts to reduce the deficit apart from TUSC who are not. The deficit is over £75 billion or so. TUSC believes that that can be reduced by collecting the tax that is not paid by big business in corporation tax and by tax evasion, all of which comes to £120 billion a year. Am sure it’s the same in other European countries where big business evades paying tax.